I am a Sydney based hair and makeup artist and need models on whom I can do bridal makeup on and take close up shots of. You will need to bring a white lacy top/dress and I will provide the veil. The shot is a close up- shoulders and up and your face will be the focus of the shots. You will need to travel to Casula NSW (near Liverpool) to my studio, where you will get ready and have the photographs taken. Must be available on weekendS. Dates are TBC based on your availability- will be a February weekend. 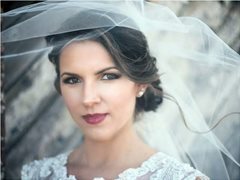 Looking for a photographer to take close up shots of bridal makeup. Clean and soft images that accentuate the makeup look and draw attention to the models features. My studio can be used to take the shots as I have a white backdrop. You may bring a backdrop of your own. Will need to bring your own lighting. The space in the studio is a bit restrictive as it is by a huge room. The model will bring a white dress/ top and I will provide the veil. Please send me a link to your portfolio.